We had a fantastic time at the 2017 Interbike International Bicycle Exposition! The electrifying atmosphere and attendee engagement helped make this show a memorable event. 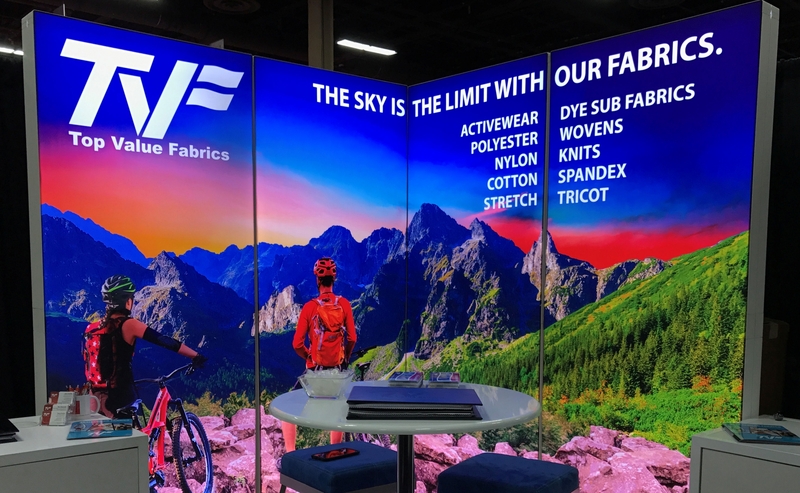 Interbike was a great opportunity to network and converse about how our fabrics are a great choice for fulfilling a variety of needs and uses in the bicycle industry. Our vibrant booth featured graphics printed on our Supernova by Planet Tradeshow which were displayed in four backlit frames from Pixlip. Thank you to everyone who attended the show!